The joy of Christmas is shown on these youngsters faces as they anxiously await the start of the Fayette Christmas parade on Dec. 3. 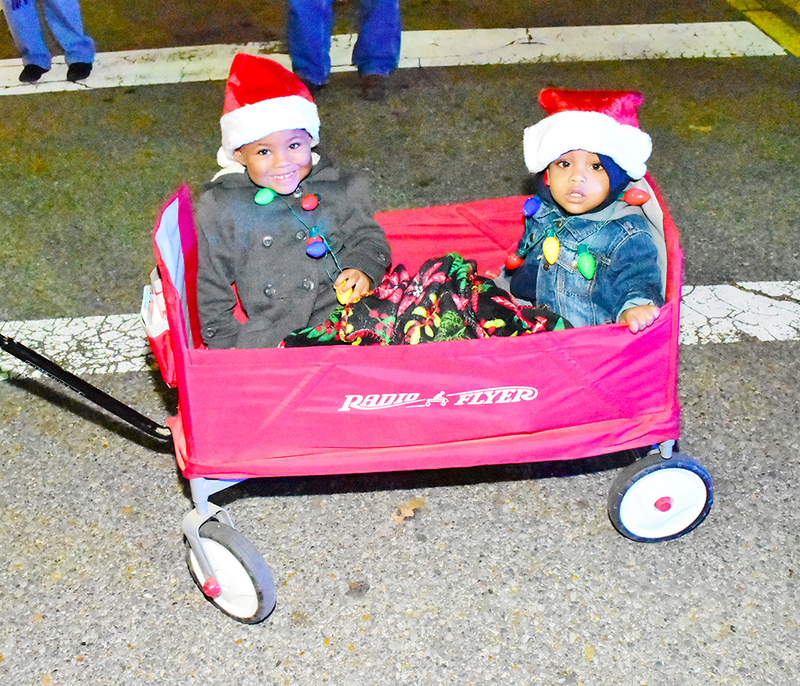 Shown is Zendaya Kemp and Urijah Kemp, who attended the parade with their grandparents Edward Driver and Bobbie Kemp-Driver. The Fayette Christmas parade was held in downtown Fayette on Monday, Dec. 3. The Fayette County High School band performed and their were many festive and spiritual entries in the parade.